Genting Hong Kong has signed a strategic Memorandum of Understanding (MoU) with the Baoshan District Government to further extend its cooperation in developing the cruise industry in China and in Shanghai, according to a statement. 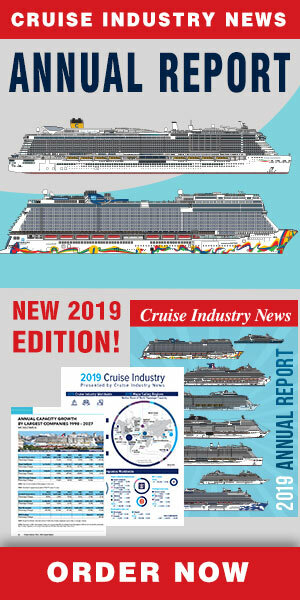 Genting Cruise Lines will thus homeport the first of its 5,000-guest Global-class ships in Shanghai starting in early 2021, the cruise line said. The Global-class vessel, the first of two ordered, is under construction at Genting-owned MV Werften in Germany. The ship will measure 342 meters long and 46.40 meters wide. With a capacity of 204,000 gross tons, the ship will be able to accommodate 5,000 passengers in 2,500 cabins based on a twin share basis – to meet peak season capacity needs in Asia – and feature a total life-saving capacity of up to 9,500 passengers. Designed specifically for the rapidly growing Chinese and Asian cruise market, features onboard the ship include a Cineplex, theme park, Asian spa, multiple authentic Asian dining experiences including fast-casual food outlets, and affordable shopping facilities in addition to luxury retail boutiques. In addition, Dream Cruises also confirmed the Explorer Dream will sail from Shanghai starting in April 2019 following her transfer from Star Cruises. To reaffirm its commitment to the Shanghai cruise market, Genting Cruise Lines will also plan to establish a cruise related company in the Baoshan district as part of the MoU.